Are you in search of a homemade lip scrub? 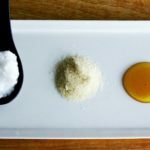 I’ve compiled a list of 13 homemade lip scrubs that are easy to make and taste good enough to eat! 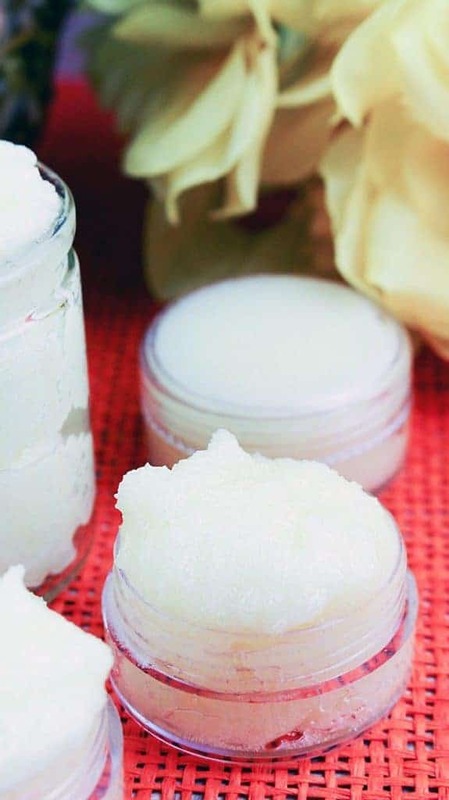 If you’re wondering whether or not homemade lip scrubs are beneficial, be assured that they’re a great, inexpensive addition to your beauty routine! 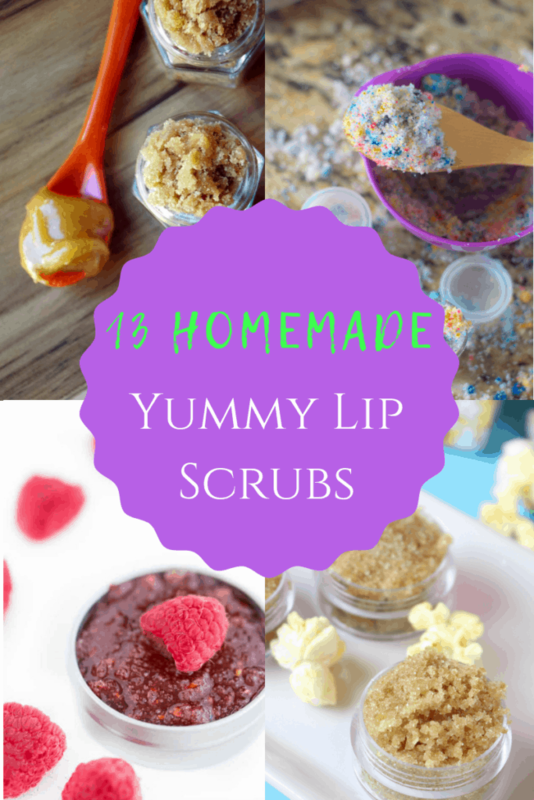 Homemade lip scrubs exfoliate your lips, removing dead and dry skin. It also moisturizes and nourishes the lips, leaving them looking fuller, healthier, and more hydrated. Below is a super easy homemade lip scrub made with three ingredients you likely already have in your pantry. 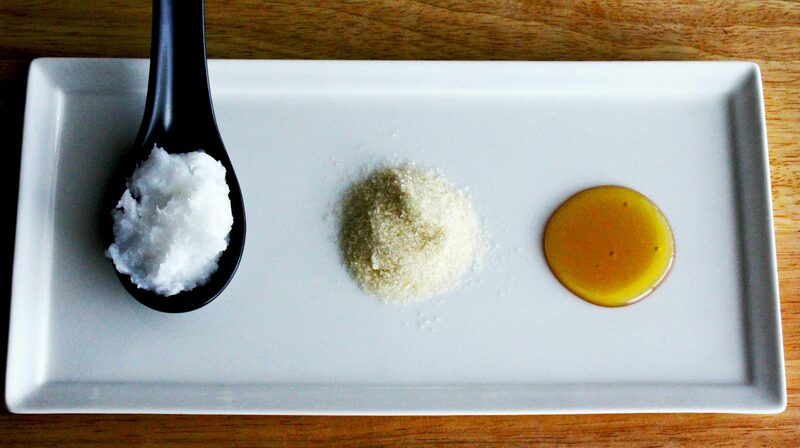 After that are 12 more homemade lip scrubs made with different flavors and ingredients! Combine ingredients in small jar, stir until mixed. Apply a small amount to your finger, and gently rub into lips. Continue rubbing gently for 1 minute, then rinse with warm water. 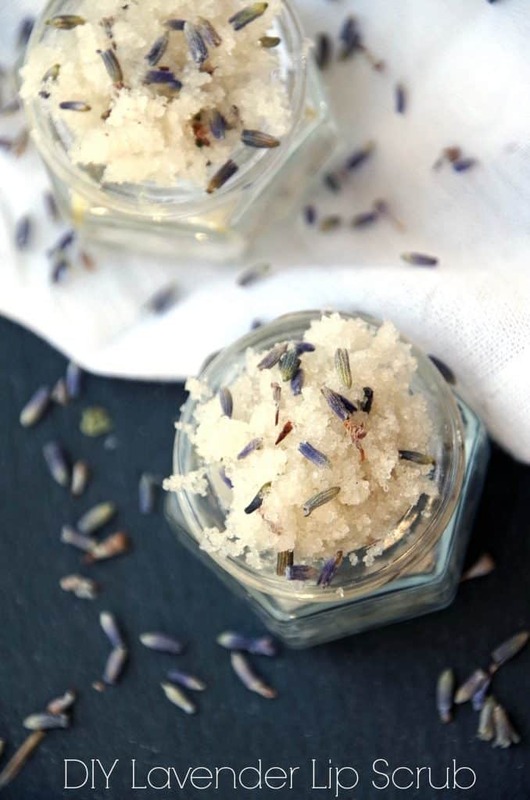 DIY Lavender Lip Scrub by Suburbia Unwrapped. Made with sugar, coconut oil, lavender oil and dried lavender. 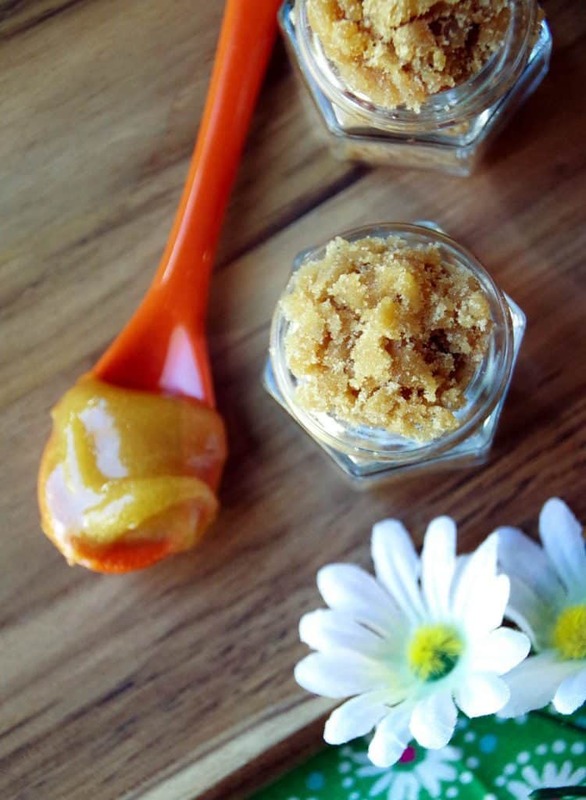 Manuka Honey Lip Scrub Recipe from Turning the Clock Back. Made with brown sugar, coconut oil, and Manuka honey. DIY Vanilla Latte Lip Scrub by Homemade for Elle. 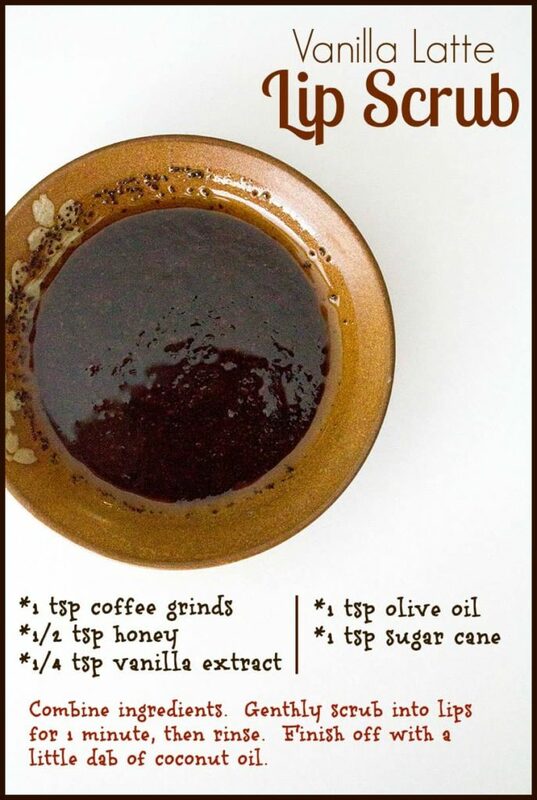 Made with exfoliating coffee grinds, hydrating honey, vanilla extract, olive oil, and sugar cane. 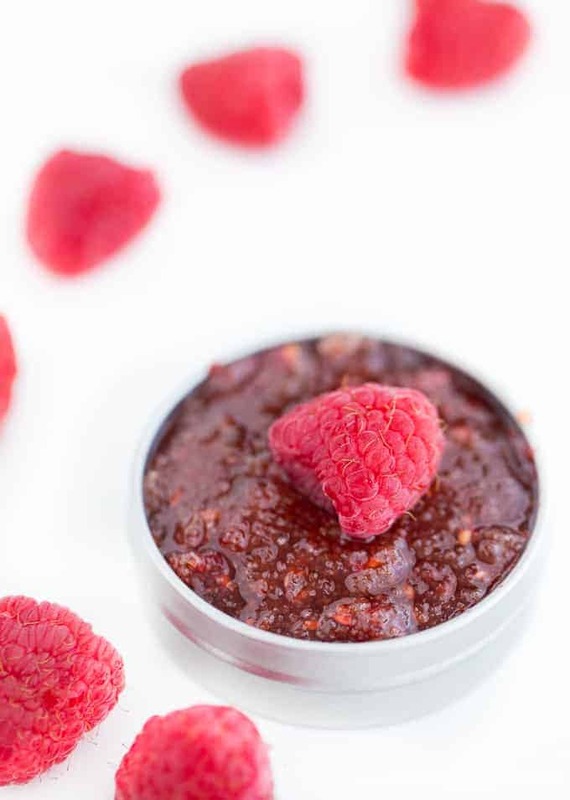 Raspberry Sugar Scrub by Turning the Clock Back. Made with fresh raspberries, white sugar, and coconut oil. 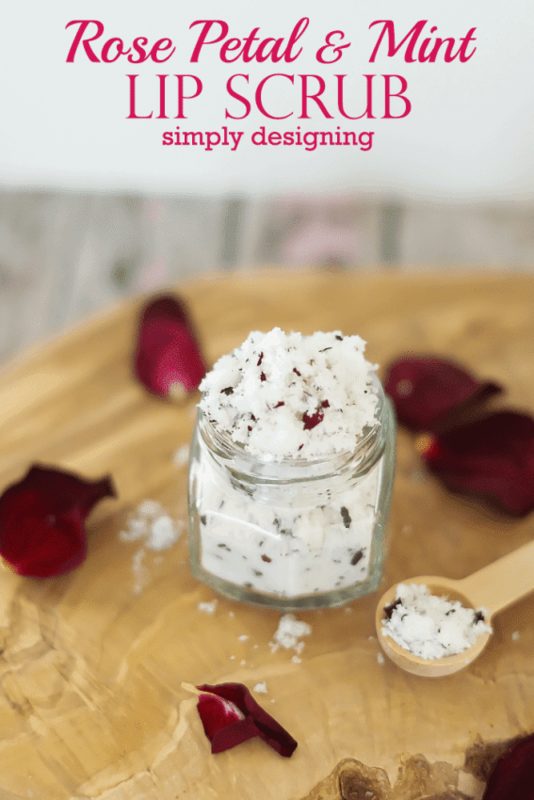 Rose Petal and Mint Lip Scrub by Simply Designing. Made with castor sugar, dried rose petals, jojoba oil, and peppermint essential oil. 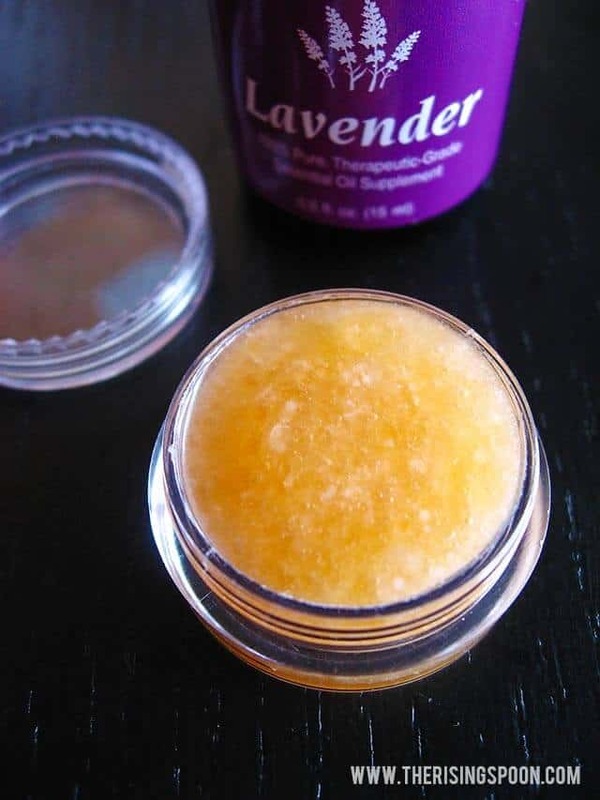 DIY Honey Lavender Lip Scrub by The Rising Spoon. Made with organic sugar cane, raw honey, organic coconut oil, and lavender essential oil. Unicorn Lip Scrub by Nerdy Mamma. 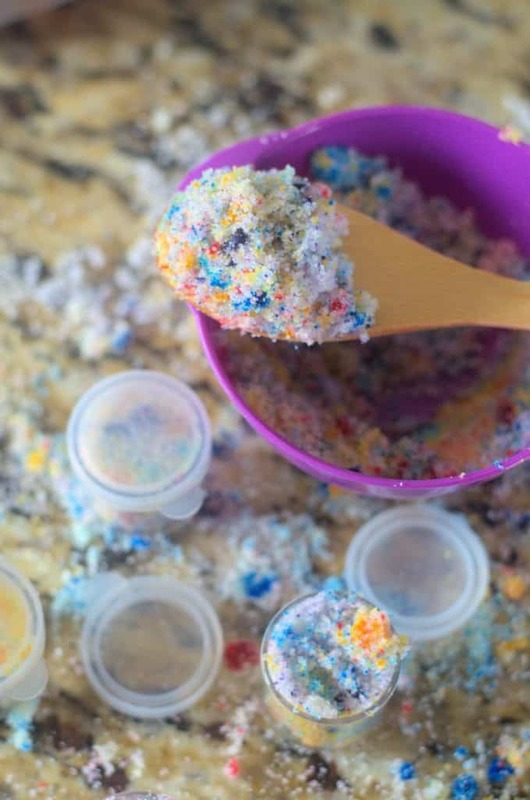 This fun and colorful lip scrub is made with sugar, food dye (you can get natural food dye on Amazon! ), and coconut oil. 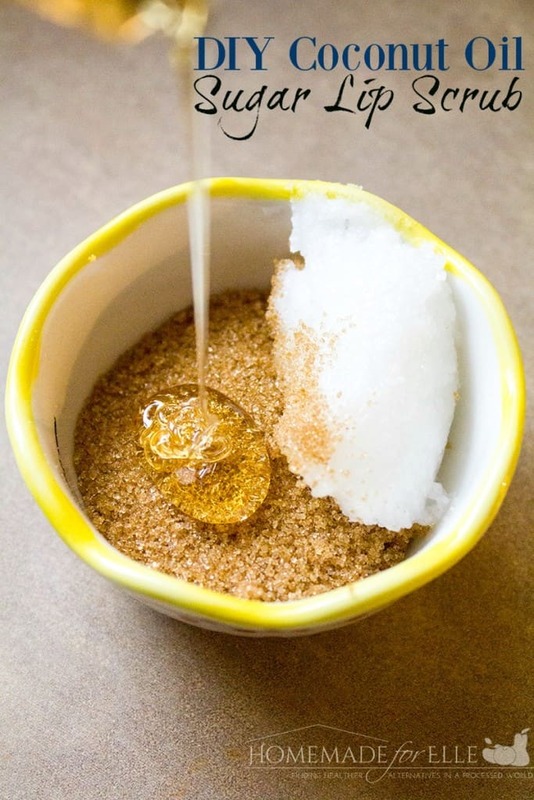 DIY Brown Sugar Lip Scrub by Homemade for Elle. Made simply with brown sugar, coconut oil, and honey. 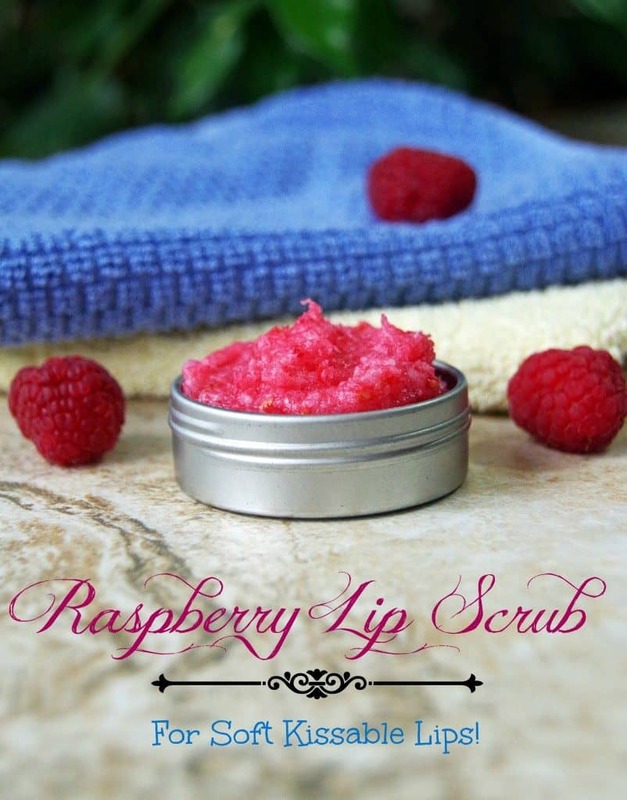 Raspberry Lip Scrub by Simply Stacie. Made with raw sugar, fractionated coconut oil, and fresh raspberries. Pina Colada Lip Scrub by A Magical Calmness. This yummy scrub is made with coconut oil, granulated sugar, coconut extract, pineapple flavoring, and vitamin e oil. 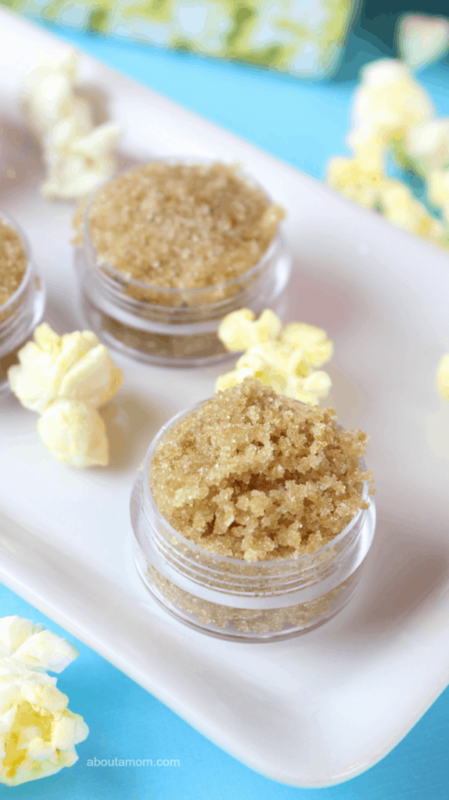 Copycat Lush Popcorn DIY Lip Scrub by About a Mom. Made with granulated sugar, brown sugar, almond oil, buttered popcorn flavoring, and vitamin e oil. 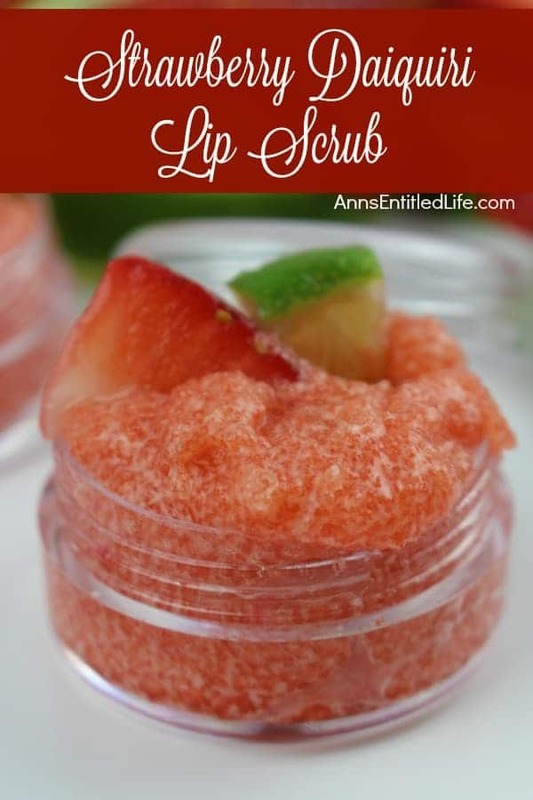 Strawberry Daiquiri Lip Scrub by Ann’s Entitled Life. Made with white sugar, coconut oil, lime juice, strawberry extract, lime essential oil, and vitamin e oil. My coconut, honey and sugar lip scrub turned white when it cooled. I know it’s the coconut oil. What can I do to make it without turning white?!? Thanks. There really isn’t much you can do to prevent coconut oil from solidifying, other than keeping it at temps above 76 degrees (which, I think most of us don’t want our homes that warm!). I would recommend setting the container in a small bowl of warm water prior to using it, so the coconut oil melts and it is easier to apply. I’ve never considered mixing peppermint with fruit. I might just have to try it! Hi! Great recipe, so excited to try it out! What would you recommend someone replace the honey with, if they’re allergic to it? Hi, this is great! thank you so much for the recipe. Can you please tell me what is the shelf life?? I have kept it about a month, but I would guess it may last a couple months! Would putting vitamin E (liquid), just a little, make the shelf life longer? i like to use Peppermint EO, love this new idea! I just made up a couple pots for my sisters. I tried a bit and my lips feel heavenly! I used peppermint and raspberry. Thank you so much for posting this recipe! That is great to hear! I am so happy you like it!! Great post! I know people pay a lot of money for over the counter lip scrubs. This is so simple and affordable! Congratulations! You will be featured on Natural Living Monday!